One of the biggest problems backyard chicken owners face during the winter months is keeping their egg supply going. If you’ve kept chickens during the winter months before, you will know that unfortunately, if you let nature take its course, your hens will stop laying completely during this period. I’ve raised chickens for over 7 years, and know just how bad it feels to see your egg production go down from 12 fresh eggs every day to 1 or 2 eggs… if you’re lucky! Keeping your hens laying during winter can be difficult and you will definitely need more than just additional lighting. 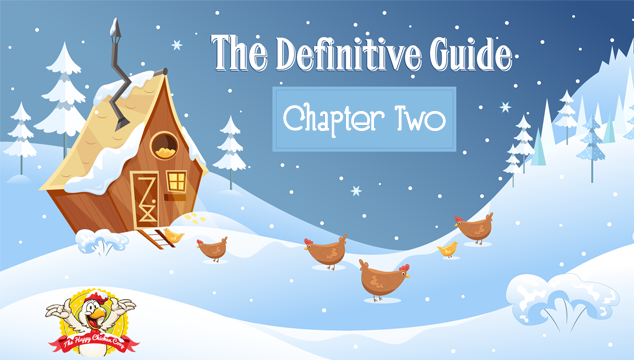 However, after reading the second chapter of our definitive guide, you will know exactly what it takes to keep your supply of fresh eggs during the winter months. Should I Force My Hens To Lay Eggs During Winter? Before we look at how to make your chickens lay eggs during the winter months, the first thing we need to look at is, should we make our chickens lay eggs during the winter months? 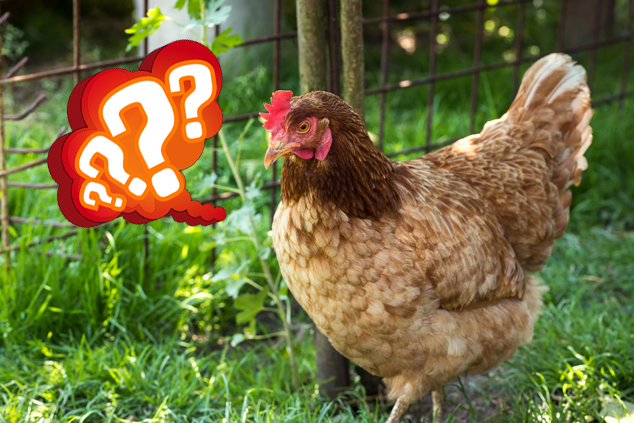 This is a question that many backyard chicken owners ponder. Is forcing our chickens to lay eggs during the winter ethical? Clearly, as backyard chicken owners we don’t raise chickens for commercial gain. In fact, many times our backyard chickens become like our household pets! However, with that being said, many people raise backyard chickens for the sole purpose of eggs and they need this egg supply to continue during the winter months. Should Chickens Lay Eggs During Winter? Personally, my hens are treated like pets and after a hard summer of laying lots of eggs I like to give my girls a rest. The process of producing and laying an egg is incredibly strenuous work and it takes a toll on their body after a period of time. If they are forced to lay eggs without a rest for a long period of time it can be extremely damaging for their bodies, and in extreme cases can cause permanent damage. This is why I let nature take its course and allow my girls the winter off! However, I can completely understand why people do get their chickens to lay eggs during the winter months. Like with most things, the answer to this question isn’t strictly right or wrong, there are many gray areas! If you decide to let nature take its course and not force your hens to lay during the winter months, make sure you read how to learn how to preserve your eggs during the summer months so you have a supply for the winter months. Why Do Hens Stop Laying During Winter? To make our hens lay eggs during the winter, we first need to understand why hens stop laying during this time period. We all know that one of the biggest reasons hens stop laying is because of the reduction in daylight. 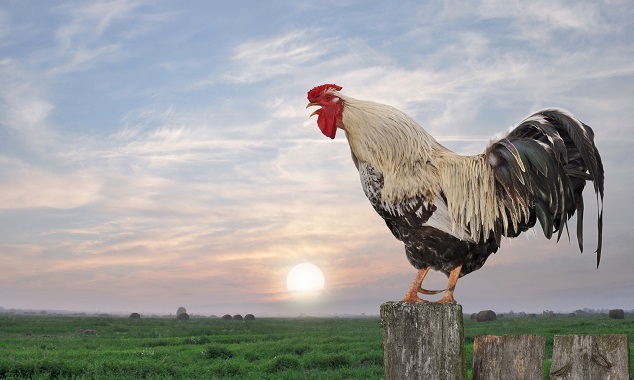 Hens need around 14 hours of daylight every day to lay an egg, and in the US during the winter months the average amount of daylight is only 9.5 hours. Why, you might ask, does a reduction in daylight matter? Well this is because light cues inform your hens when to produce eggs. It is a survival instinct, because hens know that chicks won’t survive during the winter, so their body stops sending eggs from their ovaries. At this point you are probably realizing that hens lay eggs purely for reproduction purposes, not for scrambled or poached egg! However it isn’t just a lack of daylight that causes hens to stop laying eggs during the winter. As the cold weather takes over, your chicken’s body naturally has to work harder to keep warm. To work harder your chicken redirects their ‘resources’ (i.e. energy from food) to keeping themselves warm instead of laying eggs. A common mistake made by backyard chicken owners is to not increase their chicken’s feed during the winter months. This reduction in available energy means your hens don’t have enough energy to continue laying eggs. So during the winter months you need to make sure that you increase the amount of feed available for your chickens. Make sure you read our Chapter 3: Feeding Chickens In Winter to find out exactly what you should be feeding them. In addition to the correct nutrition, chickens need to be well hydrated to lay eggs. Around 75% of an egg is made up of water, so if your hens are thirsty, you won’t be getting any eggs! Read our Chapter 4 on Water, to find out how to prevent your water from freezing during the winter to ensure your hens are getting the correct amount of water. The best way to understand eggs is to imagine them at the tip of a pyramid: the only way you can have the tip (eggs) is to make sure you have the correct foundations (food, water and daylight). We are now starting to build a picture of several separate reasons why your hens stop laying eggs during the winter time. If we control these factors (food, water, daylight and temperature) then we can start to expect our hens to continue laying eggs. Food and Water are large topics (each has their own chapter). Once you’ve read those chapters return to this point and learn how to control the final element, lighting. Many chicken keepers, and most commercial enterprises, keep their flock under lighting through the winter. This ensures egg production will be maintained at optimum levels for all twelve months of the year. Chickens need twelve to fourteen hours of daylight to keep production running, and the only way to provide this daylight during the winter is to use artificial lighting. A 40w lightbulb (make sure you don’t use a fluorescent lightbulb) provides enough light for a 10 x 10 coop. Make sure that the lightbulb is securely fitted- I’d also use a second fitting just in case the first fixing fails and your light falls onto the floor. For the fixing use either wire or chain mental, pests such as rats can chew through string. When fitting the light source make sure it’s kept out of reach of the chickens and away from dry bedding/other potential flammable material. Once the lightbulb is fitted, you can use a timer to set the lightbulb to come on from 4am-8am. The artificial light needs to be added in the morning as opposed to the evening to avoid stressing the birds. Throughout winter you need to match the sunset time to your artificial lightbulb timer to make sure your hens’ daylight stays consistently at around 14 hours. So as we move further into winter, you will need to leave your lightbulb on longer to maintain the 14 hours a day. But as we get closer to February and the natural daylight starts getting longer, you will want to reduce the length of time you leave the lightbulb on for. Each morning make sure that you check the lightbulb works – during the cold nights lightbulbs don’t last very long! If your lightbulb is broke and doesn’t get replaced, it’s likely you will accidentally force your chickens into a molt. When replacing the broken lightbulb make sure you replace it with the same color bulb- if you’re using a red light, don’t replace this with a white lightbulb and vice versa. Speaking of broken lightbulbs, you also need to have a back-up plan for power outages. Typically, you should expect to have at least 2 power outages each winter. I find battery powered camping lanterns can work well as a temporary backup whilst the main electricity supply is out. Whilst your chickens might be happy waking up at 4am when their lightbulb turns on, I’m guessing you aren’t too happy waking up at 4am. That’s why you’re using a timer for the lightbulb! It’s fine your chickens waking up at 4am, but if you aren’t letting them outside until the sun rises (at 8am), then your chickens are going to get bored during this time. This will often result in them pecking at each other’s feed- a nasty habit which can sometimes be extremely difficult to stop. To keep them occupied during these early hours you can leave some feed and water inside the coop when you lock them up at night. This way they can start eating and have something to occupy themselves with until they get let out. You may decide that you want to give your hens a break during the winter months and that artificial lighting isn’t for you- but you still want eggs during the winter months, right? The only way to achieve this is to store some of the eggs from the summer months when your hens are laying lots of eggs. To store the eggs you have two options: you can either freeze them or store them in the fridge. 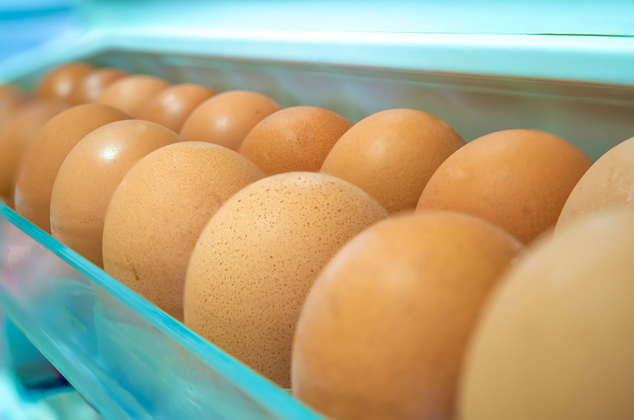 If you store eggs in your fridge they can last a surprising amount of time- Mother Earth News reports that eggs can last more than 3 months providing they are kept in a sealed airtight container. This means that if you hold back some of the eggs from the summer months, you can refrigerate them and eat these eggs during December, January and February when your hens have stopped laying eggs. The key to preserving your eggs in the fridge is to not remove the bloom! The bloom is a natural protective seal which protects the egg from bacteria. Unfortunately, when you wash the egg you remove the bloom and its protection against bacteria. So when you collect your eggs and store them make sure you don’t wash them! If the eggs are particularly mucky then wipe them with a dry cloth and don’t use any cleaning products. To keep track of when the egg was laid, you can use a pencil to write the date onto the egg. If you need to store your eggs for longer than 3 months, I would recommend freezing them. To freeze an egg you need to separate the yolk and the egg white. I found a very helpful video that shows how to do this very easily. It takes a few goes but once you get the hang of it, you will be fine! Once you have separated the yolk and egg whites they need storing in separate plastic containers. To use the eggs again you just need to defrost them and blend the yolk into the egg white. When I’m freezing the eggs I also like to bake the egg shells and feed them to my girls- it provides them with a great free source of grit during the winter! Chickens naturally stop laying eggs during the winter because their body needs to rest. It’s a personal decision whether you want to force your hens to continue laying during this time. If you decide to keep your hens laying you will need more than just artificial lighting- make sure you read our chapters on Feeding and Water Supply. A key part of chickens’ egg laying is daylight, so you will need to maintain their daylight exposure by introducing an artificial light source. Make sure you don’t fit this light source near any potentially flammable sources. If you are using an artificial light in their coop, make sure your hens are occupied during the early hours with feed and water. Finally, if you decide to let nature take its course, you can preserve eggs laid in the summertime by either refrigerating them or freezing them, and then eat them during the winter months. Yowza, snow and chickens is something I see only once a year at my place! But I do spend alot of time coaxing them into laying in the cooler and darker months, and Ive gotten pretty good at it! You are very lucky Kathy! Do you have any particular techniques you want to share!? Wow! I live in South Australia. Our days are getting shorter, and night time temperatures down to about 4 degrees celsius. A cold day is about 15 degrees celsius. It never snows here! Our egg production drops off a little (about 6 eggs per hen per week) in winter. Our concern is keeping them safely cool in summer. They can easily die of heat exhaustion.